On June 15, 2015, the Ferguson Township Board of Supervisors held a public hearing and unanimously and enthusiastically passed the ordinance that allows FARM CAFE ESTABLISHMENTS as a conditional use! 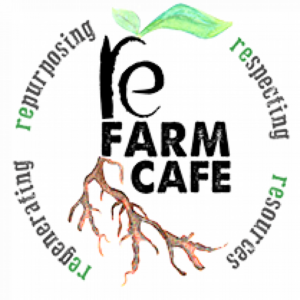 Full steam ahead with RE Farm Cafe!! 1. A PUBLIC HEARING ON AN ORDINANCE OF THE TOWNSHIP OF FERGUSON, CENTRE COUNTY, PENNSYLVANIA, AMENDING THE CODE OF ORDINANCES, CHAPTER 27, ZONING, AS FOLLOWS: (1) BY ESTABLISHING PART 2, DISTRICT REGULATIONS, SECTION 204.QQ REGULATING FARM CAFÉ ESTABLISHMENTS; (2) BY AMENDING PART 3, RURAL DISTRICTS, SECTION 301, RURAL AGRICULTURAL DISTRICT, TABLE 301, CRITERIA AND STANDARDS FOR THE RURAL AGRICULTURAL DISTRICT TO PERMIT FARM CAFÉ ESTABLISHMENTS AS A CONDITIONAL USE ACCESSORY TO A PRIMARY USE IN THE RURAL AGRICULTURAL ZONING DISTRICT; AND (3) BY AMENDING PART 12, DEFINITIONS, SECTION 1202 TO ADD THE DEFINITION OF FARM CAFÉ. © 2015 RE-Farm. All Rights Reserved. | Site designed and maintained by 3twenty9 Design, LLC.